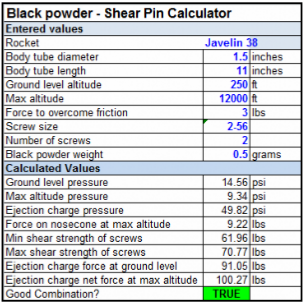 Here is a simple Excel spreadsheet tool to help calculate the size of ebay vent holes, the size of shear pins, and the amount of black powder to use for ejection charges. 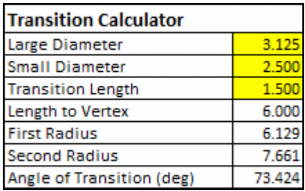 This is a simple Excel calculator for calculating the dimensions for body tube transitions. 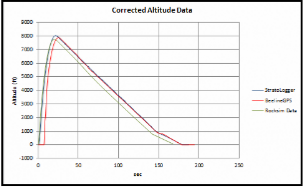 This section contains several spreadsheets I use when building or flying rockets. The spreadsheets are available to download by clicking on the pictures.